What a fantastic weekend! A whopping 3,582 people came to visit the new school building. It was a treat to hear so many people say so many positive things about our new home. Thank you one and all for coming along, and a massive thank you to all the pupils, parents, staff and other helpers for making our guests feel so welcome. Even with all the extra activity going on in the school, there's still time for Christmas. 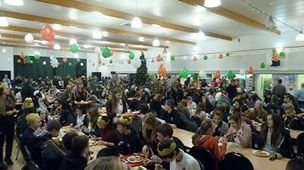 The traditional Christmas lunch and the last ever Christmas Dance in this KGS building both took place last Thursday. Tuesday will be Wear Your Christmas Jumper Day to raise money for victims of Typhoon Haiyan. Two teachers who have been in KGS for almost ten years have departed to take on new challenges. 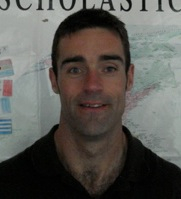 Mr Graham Shearer will be going to Stromness Academy as their new Principal Teacher of History. 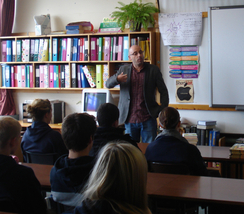 Computing teacher Mr Erik Stevenson is moving to Thurso College. Both have contributed greatly in their time at KGS and we wish them well for the future. 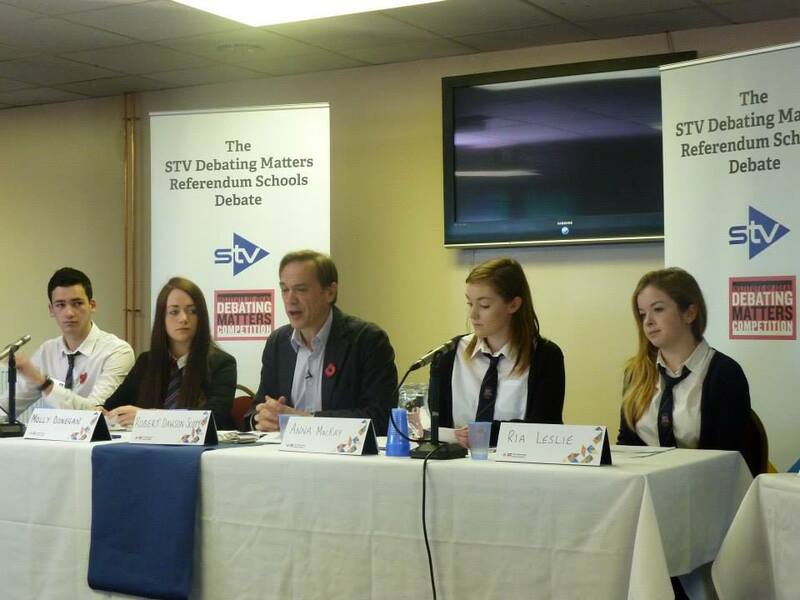 Four senior pupils from KGS were in Inverness today representing the county in the STV/Debating Matters Referendum Schools Debate. Jenny Craighead, Ria Leslie, Anna McKay and Ben Sutherland headed south to do battle with Forres Academy, Fortrose Academy and the Nicolson Institute from the Western Isles. Today's competition held at the Tulloch Caledonia Stadium was the most northerly of 8 debates being run up and down the country. 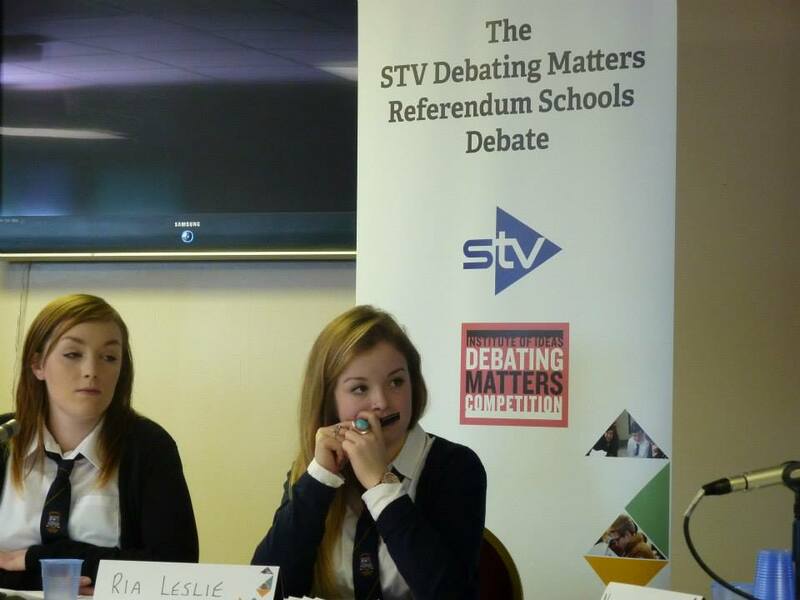 Up first, Anna and Ria delivered strong arguments in favour of an Elected Head of State for Scotland. They met with stiff competition from Forres Academy and, by judges decision, Forres were given the win by the slimmest of margins. The Nicolson Institute then went up against Fortrose Academy, arguing that Scotland has more in common with England than with other small nations. It was another close battle, with The Nicolson Institute scraping the win. 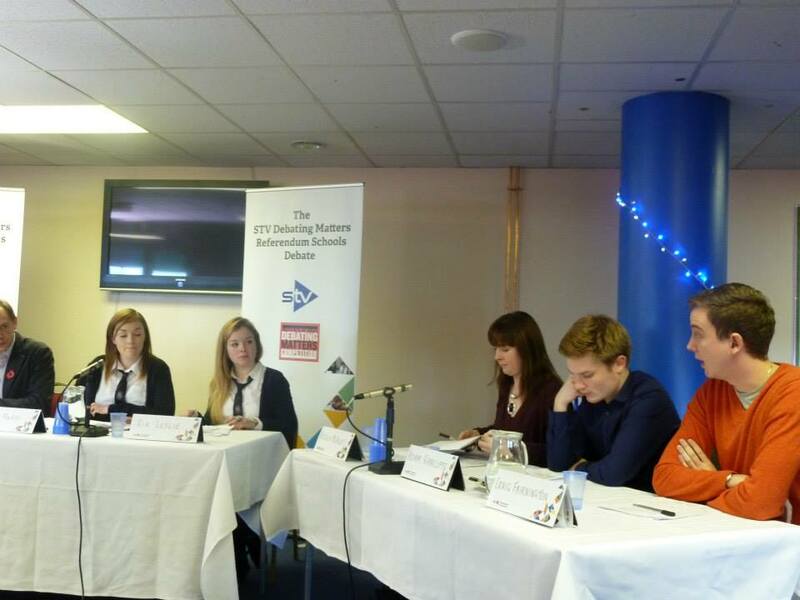 The final round saw Forres Academy and The Nicolson Institute lock horns on the Referendum question "Should Scotland Be An Independent Country". 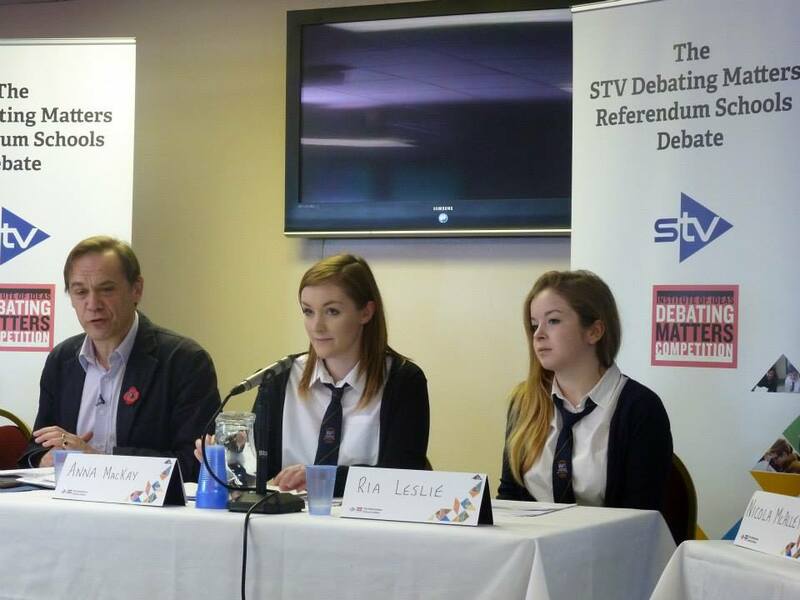 An impassioned debate from both sides was eventually judged in favour of the team from the Western Isles. The Nicolson Institute will now progress to the final on March 22nd at the STV studios in Glasgow. A huge congratulations to the KGS team for their performance which split not only the judges but also the audience. All four members of the team thoroughly enjoyed the format of today's debates and are keen to try it out some more. 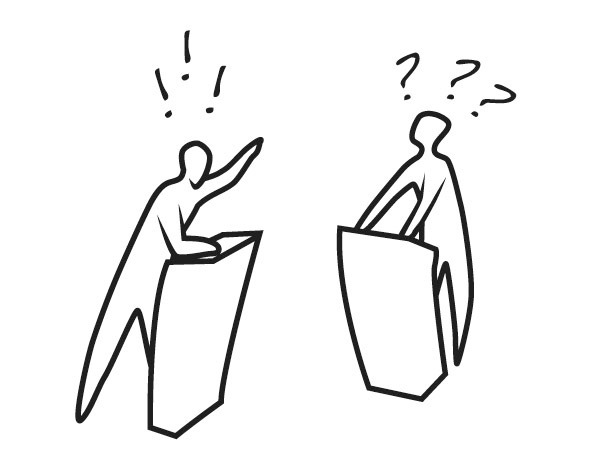 If you would like to get involved with future debating opportunities, speak to Ms Perry or Ms Fleming about setting up a debate club. Today a film crew from German television channel ZDF was in KGS to film two pupils from North Ronaldsay, Macsen Johnstone and Gavin Woodbridge, for a documentary about the unusual ways pupils around the world travel to school. The crew will visit the island this weekend to do more filming there. 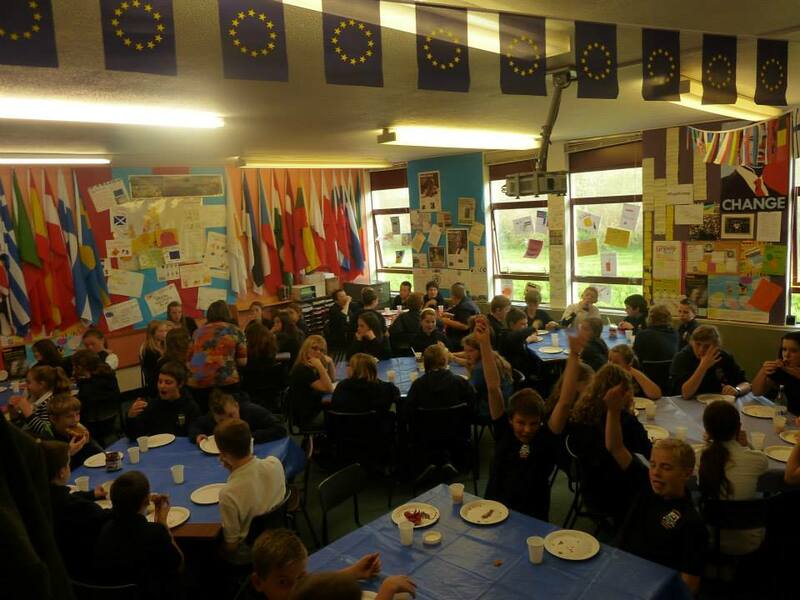 It was bon appétit for KGS S1 pupils this morning as they tucked into a special continental breakfast. 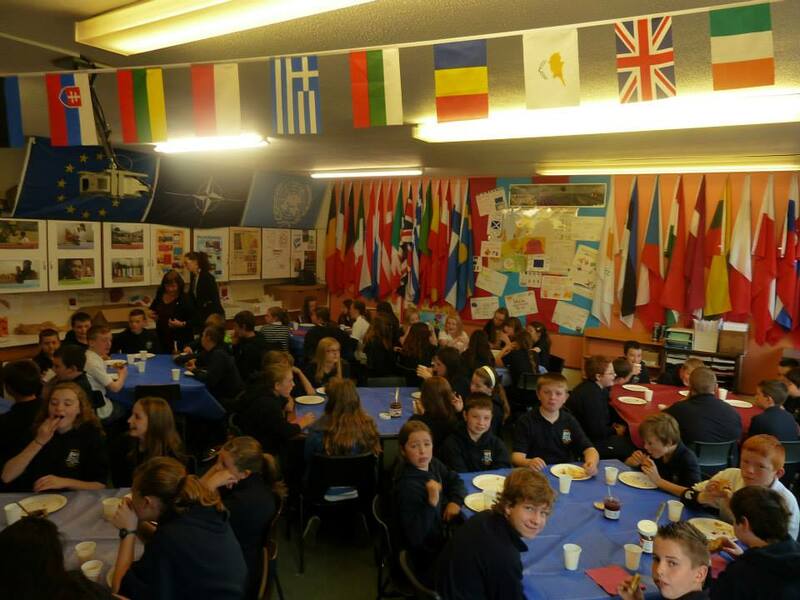 In the week following the launch of Speak to the Future’s ‘1000 Words’ Campaign, to mark European Day of Languages on September the 26th, the Modern Languages department organised the big breakfast. During this week, lessons will be geared towards language awareness. 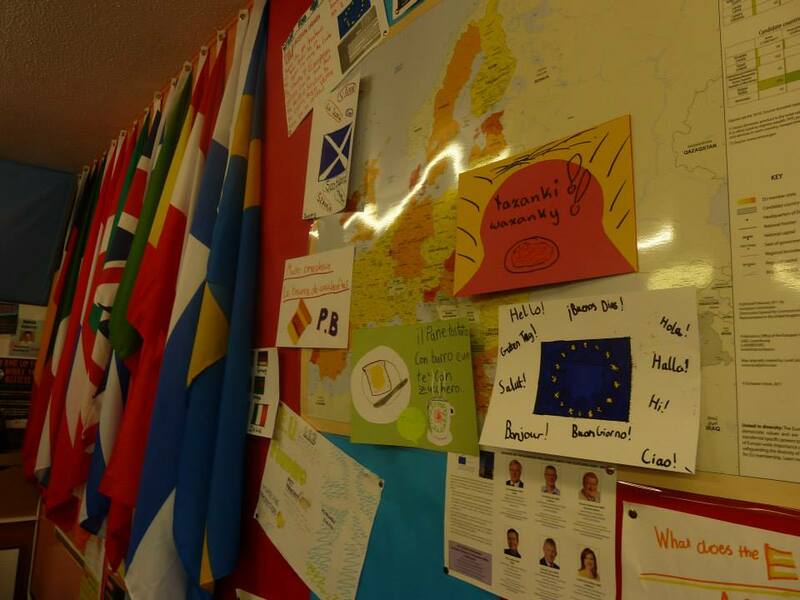 Ms Scott, Principal Teacher of Modern Languages, said, “We’ve made great use of the resources we have in the school, with pupils and staff sharing their knowledge of European languages by offering taster sessions in French, German, Spanish, Italian and Polish. The 1,000 Words Campaign stems from concerns that the country is losing out on international trade and jobs because of poor language skills. “Research shows that learning a foreign language increases our brainpower and improves the quality of our contact with the rest of the world”, added Ms Scott. 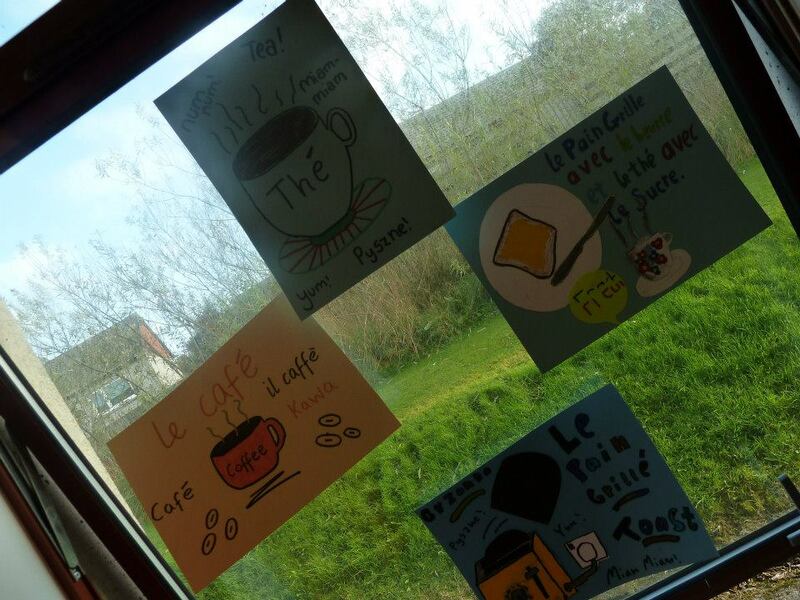 “I find learning French fun. I want to have a holiday home in France. I won’t need a guide book when I am on holiday and I will talk with French people. Ms Jenny Devlin has been appointed to the post of Principal Teacher of Social Subjects. 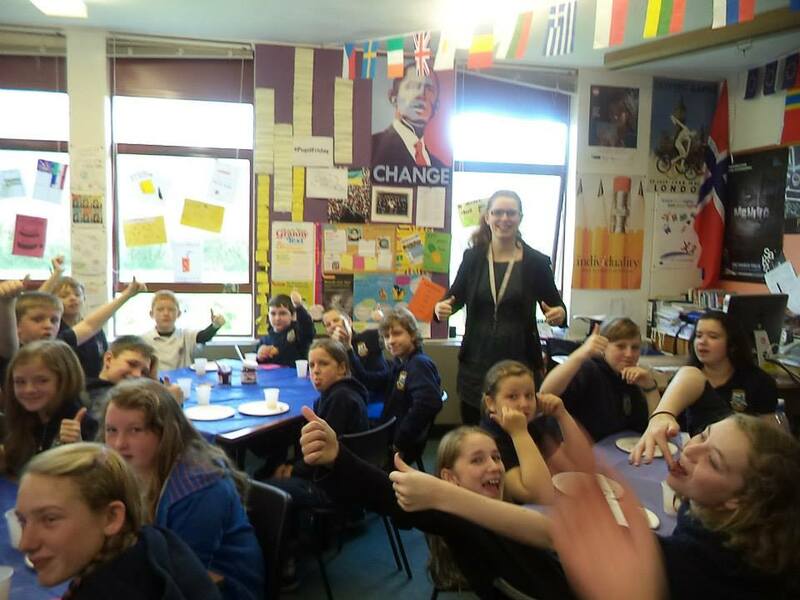 Jenny taught for a year in KGS before moving to Stromness Academy, where she is currently PT of History. We look forward to welcoming her back to Kirkwall Grammar. During English lesson yesterday we received a visit from Keith Gray. Keith is a famous author living in Edinburgh who as a teenager did not achieve good enough grades to do the course he wanted. He also did not like reading books as a child, which I find very surprising now that he writes his own books for a living. Some of Keith's books have been nominated for major prizes such as the Carnegie Medal, the Guardian Fiction Prize, the Booktrust Teen Prize and the Scottish Arts Council Book Award. He won the Angus Book Award as well as a silver medal in the Smarties prize - coming second to Harry Potter! I really enjoyed Keith's presentation. I found it very interesting to know that he did not like reading when he was young. Keith is a very enthusiastic person and kept inserting jokes throughout his talk. Towards the end of the lesson he read out a snippet of his book Next, which I really enjoyed and wanted to read. I definitely recommend Keith's books for teenagers, like me, who usually do not enjoy reading. Berstane pupils Shani Patching and Lucy Broadhurst-MacGregor are the winners of this year’s Orkney Schools Debating Competition. The two travelled to Stromness Academy for the final yesterday, where they proposed the motion that ‘Junk food should be banned in schools’. Shani and Lucy faced strong competition from Stromness pupils Anja Hall and Gareth Flett, who presented well-thought-out arguments for what was to prove a difficult motion to oppose. In the end, the judges felt that the KGS girls had the edge, and that their speeches were more detailed than those of their Stromness counterparts. The beautiful crystal trophy will now be engraved with Shani and Lucy’s names. A special thank you goes to Ms Fleming, who coached the girls in the competition. Congratulations to Lucy and Shani! After June's departures there are some new faces in KGS this term. 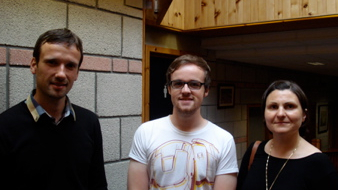 Our two new probationers are Mr Andrew Maclean in Physics and Ms Sandrine Tonini in Modern Languages. Dr Erland Johnston joins as a temporary teacher of Chemistry. Not a new face, but now with a permanent post in the PE Department, is Dale Watt. In addition, two temporary part-time teachers are joining the Social Subjects Department, Samara Hoggan (History) and Kiera Glenn (RMPS). Mr Graham Shearer has been appointed as Acting Principal Teacher of Social Subjects now that Mr Neil Ewing has joined the Senior Management Team.